Self-care is an important part of recovery for everyone. When a loved one goes to treatment, everyone affected by their addiction has a chance to recover. Self-care should include the whole family. As well, each individual member of the family should create their own personal routines for self-care as well. Together, you can host family game night, family movie time, or even family outings. Whatever the family has fun doing together should be considered self-care time. Encourage each member of the family to explore what they enjoy doing on their own in their own spare time. Reading, writing, playing sports, relaxing- help them create time in their schedule to have time for themselves. Parents have the right to a life, too. Everyone needs external friends for support when a loved one is struggling with addiction or mental health issues and is in treatment. Make time to have your very own playdates with your dearest friends. Your family members should be allowed to plenty of healthy time with their friends as well. THough the family needs to heal together, each individual also needs to have their own way of healing as well. Family outings and activities can be great. There are also many fun ways to have self-care at home. 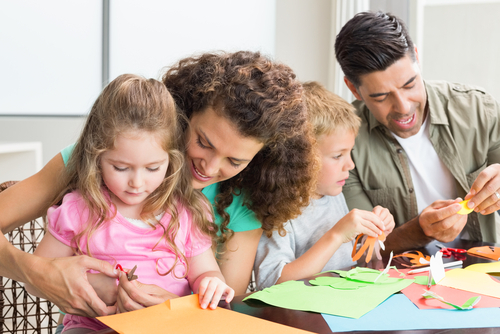 Schedule a family spa night or craft night where everyone creates and then uses something together. Healing within the home is helpful for redefining and reclaiming the family environment after there has been a struggle with addiction. Technology can be a great distractor. A family sitting together in a room each on their own devices is not bonding and is not self-care. Agree on one night a week where no devices are used. Play games, have a talk, or cook a meal together. Keep these traditions up when your loved one comes home. They’ll be eager to join in the family activities and be held accountable to continuing to build upon their own routines of self-care. Being a family in recovery is what you should be doing. Hired Power offers recovery services to make sure your family can focus on healing as a family. Our compassionate team is available to empower your family to bring recovery home, every step of the way. For more information, call 1-800-910-9299 today.